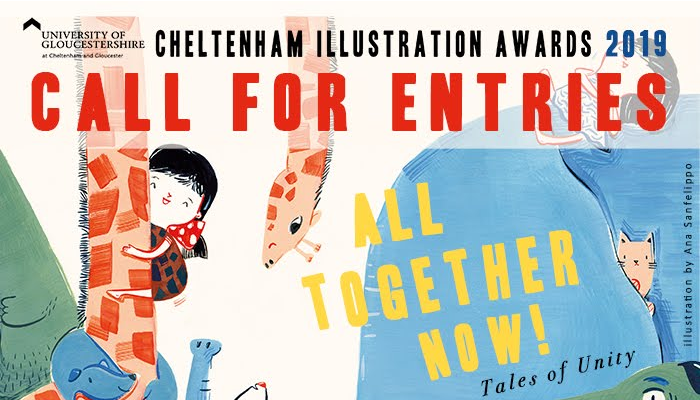 The focus of the Cheltenham Illustration Awards has always been one of narrative. Visual storytelling, whether sequential or single image, gives scope to the imagination and opens up possibilities beyond the present moment. This year the theme is: All Together Now: Tales of Unity. The Student category is open to all full-time students over 18 years of age worldwide. The Emerging and Established category is open to any newly practising illustrators who are wishing to gain exposure of their work and to those who are more established and are apart of the illustration world. Open worldwide to all students, emerging and established illustrators. Entrants must be 18+. The Awards will also be inviting work from established artists and illustrators whose work contributes to the theme.